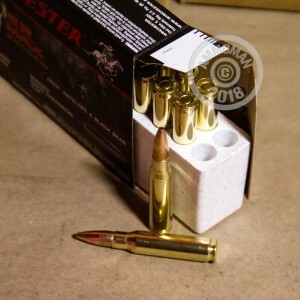 The 308 Winchester is one of the most popular rounds in America. Used by the government for years, the 308 rifle has a fantastic reputation. Currently, the 308 is used as a very popular hunting rifle, capable of bringing down very large game, even at long distances. 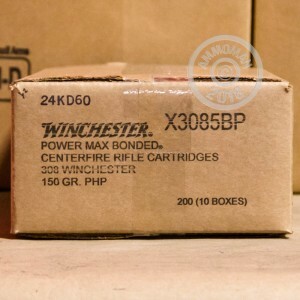 PowerMax bullets are designed specifically for deer hunting and to be sold on the lower end of the median price range. 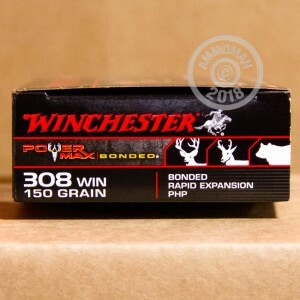 Be sure to pick up a 20 round box of this devastating 150 grain 308 Winchester hollow point ammo for your next deer hunting expedition.